Just like the Thanksgiving ceremony, playing Thanksgiving Trivia Questions is full of fun too. It is a ceremony where friends and families meet and thank everyone whoever has contributed to preparing the food. It is a national holiday throughout America. There are many other countries that celebrate this auspicious day. Thanksgiving Day celebration has a long history. It all started more than 3 and a half centuries ago. 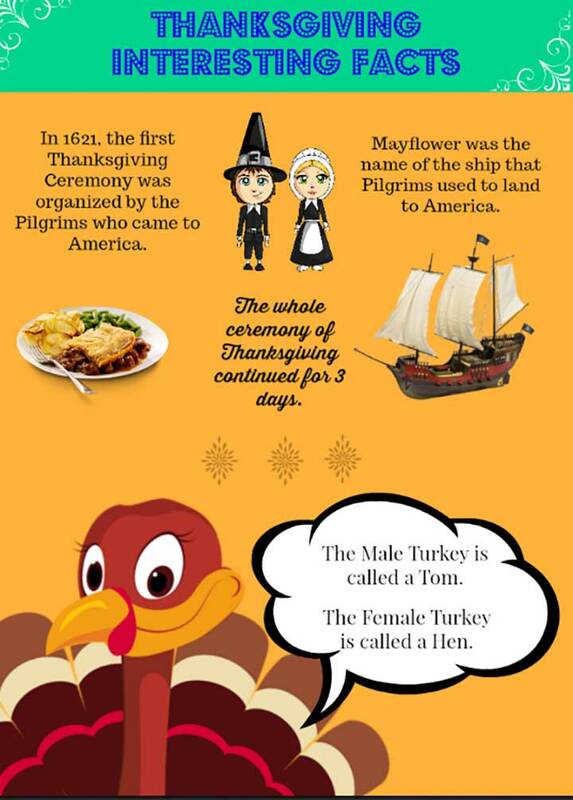 In the below image, we have presented a few interesting historical facts about the first Thanksgiving Day. To make your celebration funnier and more entertaining, we have curated a list of 30+ questions. Each and every question bears some vital information. Moreover, Trivia questions are always about minute details. So, here we have tried to keep the questions as deep as possible. At the end of this article, you would also find a list of entertaining games that you can play with everyone present at the ceremony. Now, let’s talk about some fun Thanksgiving Trivia questions. Which bird was not on the menu of the first Pilgrim’s Thanksgiving? Bald Eagle was not on the menu of the first ever Thanksgiving Day back in 1621. But, surprisingly Eagle was eaten along with Turkey on that day. In which year America’s Thanksgiving Parade started? 1924 would be the right answer. Earlier the America’s Thanksgiving Parade was named as Michigan Thanksgiving Parade that was presented by Art Van. This parade was all about to promote community strength and the enthusiasm of a colorful festival. This festival is the most vibrant festival of Detroit. In which year Macy’s Thanksgiving Parade started? It also started back in the year 1924. U. S’s biggest store chain Macy’s started this festival of food and colors. This took place in the city of New York. At the present time, this parade is believed to be world’s largest parade. What is the furniture the Pilgrims brought to Mayflower? Many think that they brought heavy furniture along with them, but Chests and boxes are what they brought along. They made wooden furniture when they settled in Plymouth. Was Abraham Lincoln the first American President to proclaim Thanksgiving Day as a National Day? The answer is ‘NO’. George Washington, James Madison, and John Adams, all the three Presidents urged the Americans to observe Thanksgiving Day with high importance. Why generally people feel sleepy after a big Thanksgiving Day Meal? The reason is Turkey. 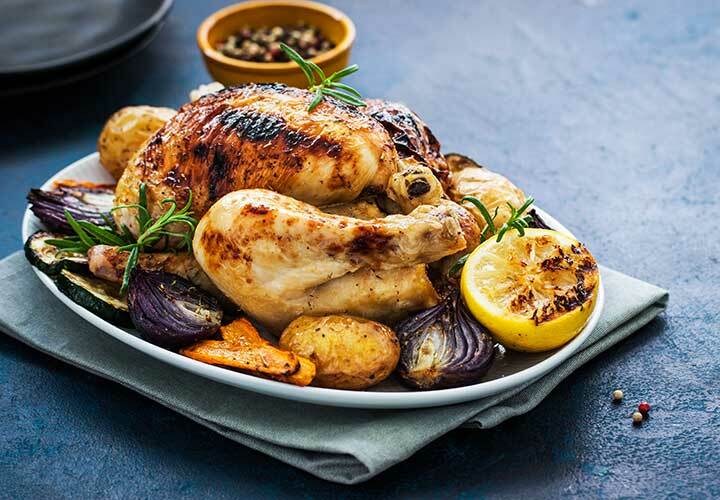 Turkey has a high content of Essential Amino Acid called Tryptophan. The consumption of a big meal consisting of Turkey and other food items often make people feel drowsy. The high amount of fat and Carbohydrates compel people to take a nap right after a big Thanksgiving Meal. What was the baby named that born on the Mayflower ship? Oceanus Hopkins was the name of the baby that born on the lap of the ocean during the 2 month’s voyage of the Pilgrim’s to America. Which American President could claim the Mayflower Ancestry? George Bush would be the right answer indeed. He is the original descendant of two Mayflower passengers namely John Howland and Francis Cooke. In which year Thanksgiving Day was declared as a National Holiday? 1863 is the right answer. On that year, President Abraham Lincoln declared Thanksgiving Day a National holiday. What was the role of the ship Mayflower before it became the symbol of a historical voyage? Wine Vessel would be the right answer. And, it was astonishing how important its role became in the transportation of the pilgrims to America. Which event inspired President Lincoln to declare Thanksgiving a National Holiday? The Battle of Gettysburg in the American Civil War was the main reason behind the decision. It was just three months after the war when the President declared it a national event. What does a Snood refer to? It is actually the loose skin around the neck of the male Turkey. Apart from America, what are the three countries there that celebrate Thanksgiving Day? Canada, China, and Japan. All these countries celebrate Thanksgiving Day. Well! There are several other countries too that celebrate this auspicious day. How many Pilgrims arrived on Mayflower? There was 102 Pilgrims total who came aboard. The purpose of their visit was to seek religious freedom. How Cornucopia is associated with Thanksgiving Day? Cornucopia is a horn-shaped basket that symbolizes Horn of Plenty. Actually, the Pilgrims celebrated the first Thanksgiving Day as that year, plenty of vegetables were harvested. Cornucopia has been always associated with Greek Gods and mythologies. It has always been the symbol of strength and nourishment. Although Cornucopia was not there with the Pilgrims still it became an integral part of every Thanksgiving Day celebration because of its symbolical association. Which vegetable the Pilgrims did not cook on the day in spite of having those abundant? Surprisingly, it was Potato. Mashed potatoes are symbolic in the Thanksgiving ceremony. The Pilgrims had a sufficient amount of potatoes but they did not cook it on that day as they thought it would be poisonous. What is the name of a baby Turkey? It is a pretty interesting question that very few people know about. A baby Turkey is called a poult. Can Turkeys see what is behind their backs? Turkeys are full of interesting facts. And, one such interesting point of Turkey is that they can see up to 270 degrees. And, this value is almost like rotating the head the same way an owl does. What is the connection of Pumpkin Pie to the Thanksgiving Day? Well! You would be surprised to know that the modern day Thanksgiving menu has nothing to do with the 1621 Thanksgiving ceremony. Pumpkin Pie was a 19th-century addition by the popular magazine editor Sarah Josepha Hale who made the modern age Thanksgiving menu quite popular. And eventually, it became a popular recipe. So, Pumpkin Pie had never been there in the original menu. How Green Bean Casserole is connected with the Thanksgiving Day? In 1955, Dorcas Reily from Campbell Soup Company created a beautiful green bean dish which had a condensed cream of mushroom soup. 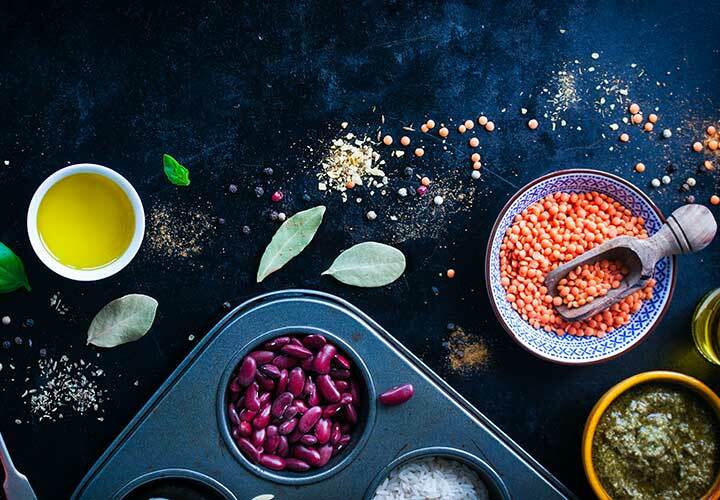 Eventually, the cuisine became pretty famous and became a part of the Thanksgiving Day. When does Canada celebrate its Thanksgiving Day? On the second Monday in October, Canada celebrates its Thanksgiving Day every year. How many feathers a Turkey bird has? A fully grown up Turkey bird would have almost three thousand and five hundred feathers. Undoubtedly, Turkey birds are one of the most exquisite birds in the whole world. Which state does consume the highest amount of Turkey every year? Well! The straight answer would be California. In California, it is festival on high alert, especially on Thanksgiving Day. What was another name of the Pilgrims that came to America in quest of religious freedom? The Pilgrims were also known as the Puritans. They wanted to purify the whole religious teachings that the Church of England proposed. These 102 group of people wanted to look at the world from a different perspective. Which utensil was not used by the Pilgrims on Thanksgiving Day? Surprisingly, the Pilgrims had both knife and fork. They used knives but could not use forks. Because they traded the forks with Indians in exchange for information and supply. Who else joined the Pilgrims on the Thanksgiving Day? Well! It was a celebration for the huge harvest during the fall. Wampanoag Indians joined the Pilgrims in the celebration in 1621. It was a spectacular site indeed because those people were offering foods to the Gods who have helped them in such a huge harvest. It was a way of thanking everyone who has provided them the food. How Cranberry Sauce became a huge iconic symbol of the Thanksgiving Day? Native Americans used to use Cranberries both as medicines and foods. The Pilgrims were introduced to Cranberries by them actually. But, the mixture of cranberries with sugar and water was a later invention. It is for sure that Cranberry took an important place on the table of Pilgrims back in 1621. And eventually, it became an iconic symbol for Thanksgiving Day. Which American President first thought that Turkeys are better National symbols than Bald Eagles? The answer is Benjamin Franklin. In 1784 he wrote his daughter that according to him, Turkeys can be “a much more respectable Bird” for the new United States. He also added that Turkey represents courage and is a true native American. In 2007, where did President George W. Bush send two Turkeys during Turkey pardoning? Turkey pardoning has become a part of the Thanksgiving ceremony now. It is an event where Presidents pardon a few Turkeys from being a part in the main course. In 2007, President Bush did something remarkable as part of the pardoning ceremony. He sent two Turkeys to the Disney World. It is a beautiful annual tradition that brings a lot of positivity. What was the name of the Native American who helped the Pilgrims? Squanto worked as the main peacemaker between the Pilgrims and local Pokanokets in 1620 when Mayflower just landed. He spent around 20 months with them. He partly knew English and was a great guide and translator. The importance of Squanto is pretty significant in the Thanksgiving ceremony. Which state produces the maximum number of Turkeys in the US? Minnesota is definitely the one with rank one. The 2016 statistics show that Minnesota produced 44 million Turkeys which was the definitely the highest. Thanksgiving is a celebration of colors and lots of cuisines. Smashed potatoes, Cranberries, Pumpkin pie, and of course a big Turkey are symbolic of this beautiful festival. We are sure that these Thanksgiving Trivia Questions would add some more spicey moments to your fun and joy. Well! We generally celebrate Thanksgiving with our friends, families, grannies, grandpas, and many more amazing people. When such awesome people come and sit together, playing a few simple games can lit the whole ambiance. 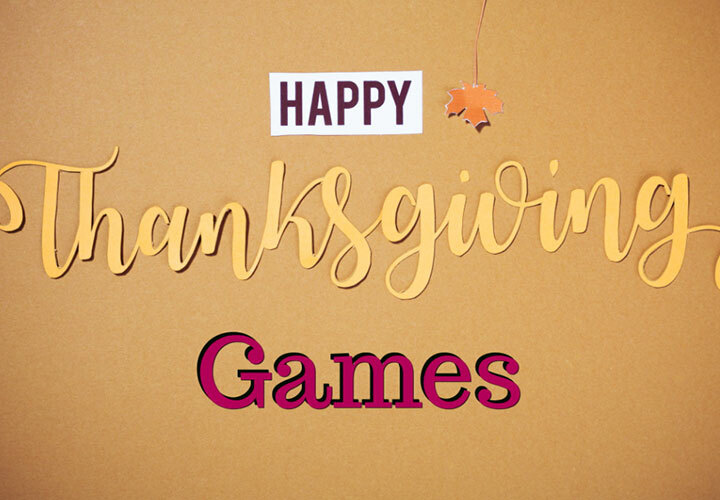 For your cues, we would talk about 5 Thanksgiving party games that you can play with all. Here goes the crazy list of games. It is a pretty interesting and easy game to play with everyone. Follow the below steps to make it happen. Draw a big Turkey on a large cardboard. Create some tail feathers using paper; you can also buy them though. Don’t forget to write down everyone’s name behind the feather. Blindfold everyone and ask them to throw the feathers pointing at Turkey. The one who would reach the nearest part would be declared as the winner. You can think of some gifts too for the winners. This is one of our favorite party games. It is full of fun and drenched in sweetness. Here are the steps to make it happen. Hide cute candies all over the place. Divide all the people into several groups. One individual from each group would be called the head Turkey. And, the other members would be called as hens. The hens in every group need to find out the candies. While they find those out, they would have to call Turkey of their respective groups. It is the responsibility of the Turkeys to collect all the candies. The group with the highest number of candies would be declared as the winner group. Sounds like a fun game, isn’t it? Well! This game is exclusively for all the children out there. Of course! They need some engagements too. Here are all the steps you need to know to play it. Gather some orange balloons and blow all of them. Give one to every kid. Tell them to not let the balloons touch the ground. The balloons should flow in the air. The one whose balloon would not touch the ground even once would be declared the winner. Arrange a special gift for that cute kid. Certainly, this is a pretty interesting game. And, we believe that this game can be played by anyone. Check out the following steps to know more. Take a big bucket full of water. Float some apples on the water. Ask the people to pick up one apple at a time. Nope! No hands are involved here. The only tool they can use is their tooth. The one with the maximum number of apples is the winner. Often kids feel extremely bored in parties. Well! This game would make them totally excited. Are you ready for the steps? Pile some dry leaves on the ground. Hide all the toys within the pile. The kids need to find the toys. In this game, there would not be any particular winner. Give each of them all the toys. We are pretty sure that all these 5 games are going to keep all of you entertained for a long time. Which one do you think is the most interesting. After having such a lumpsum amount of food and alcohol, everyone feels drowsy and tired. During the closing ceremony, you can arrange some mouth-watering desserts. All of you together can watch Thanksgiving Day Parades too on tv. It is always better to line up some light activities after a heavy meal. 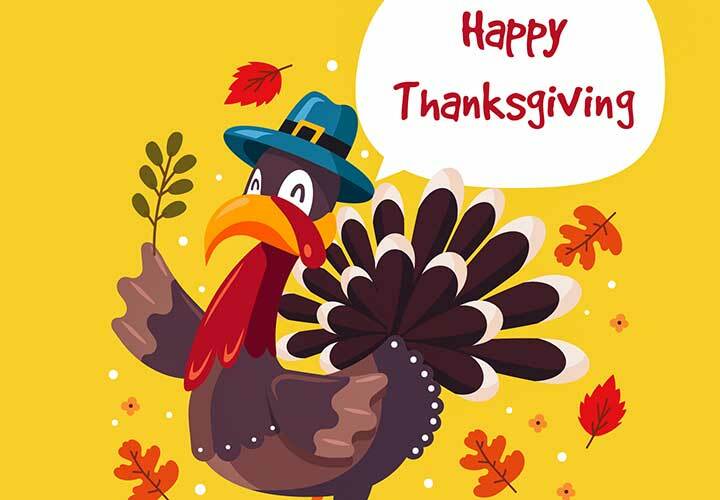 Thanksgiving is a fun ceremony that is celebrated on the fourth Thursday of November every year. People all over the US celebrate this beautiful day. All these Thanksgiving Trivia questions and fun games would make sure that your entertainment is always lined up. 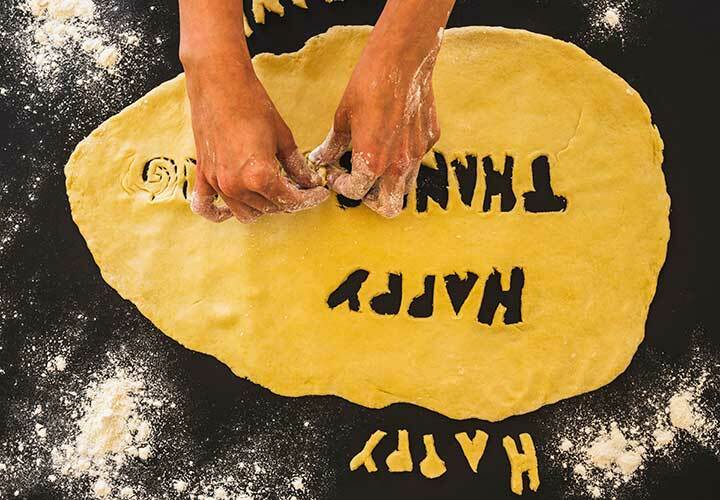 This Thanksgiving Day, get ready to do something interesting.